Now in its third edition, this bestseller has remained popular, relevant, and a must-have for new teachers, mentors, administrators, and staff development professionals. 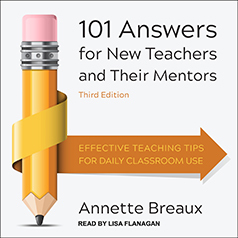 Appropriate for individual or collaborative study, this book provides simple, practical solutions to the challenges experienced by both new and veteran teachers. ● and much, much more.